SEI provides on-site storage, long and short term. Shipping and receiving services available. We pride ourselves on making the sturdiest crates in the business. 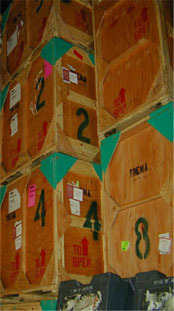 Most of our clients entrust their exhibits to our care for storage in our warehouse.